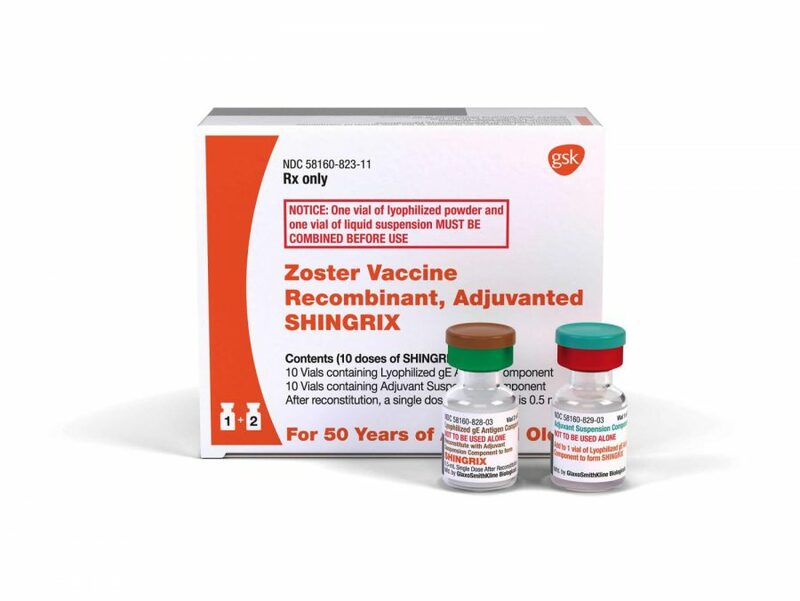 Shingrix is the name of the new vaccine against shingles. It was approved at the end of last year, and now doctors are recommending patients to get it. It has been proved it is more effective than the usual shingles vaccine: Zostovax. Many people consider that shingles can become one of the greatest pains a person can endure. About a million people go through shingles every year. The new vaccine Shingrix is being recommended for people aged 50 or more. The vaccine is administered in two doses whit six months in between – according to Dr. Peter Gulick of the MSU College of Osteopathic Medicine. “It tends to have a longer ability to protect you,” says Dr. Gulick. Zostavax was licensed in 2006, and it has been recommended for older Americans to prevent shingles (herpes zoster) ever since. However, Shingrix appeared late last year and apparently is more effective than Zostavax to deal with shingles. Dr. Zostavax explains that Shingrix is not a live virus. It has part of a virus, and they have attached to it another substance that stimulates the immune system. That is why he claims is more effective. He also stated that it is alright for people who got the Zostavax vaccine to be revaccinated with Shingrix. Shingles develop with the reactivation of the varicella-zoster virus (VZV). It produces a terrible rash that usually happens at one side of the body – typically the face or the torso. However, shingles have terrible complications that include postherpetic neuralgia (PHN), ophthalmic involvement, and bacterial infection. Therefore, a complicated case of shingles can lead to hospitalization and death. The risks of having shingles increases with age. About 1 of every three individuals in the United States is going to develop shingles. The virus remains dormant in the body, and its development can be triggered decades after by stress, medication, diseases or trauma. Shingrix is administered with intramuscular (IM) injection. Patients need two doses of 0.5 ml. The second one should be injected between 2 and six months after the first dose is administered. The vaccine series should not be restarted if it passes more than six months since the first shot. It was approved by the Food and Drug Administration last October. To get the license, there were studies involving 16,600 people that proved Shingrix was effective to prevent shingles and that it was better than Zostavax. Getting vaccinated with Shingrix is very simple. The two doses have a total cost of $280 without insurance. All It takes is a prescription by a doctor. It can be administered in local pharmacies.